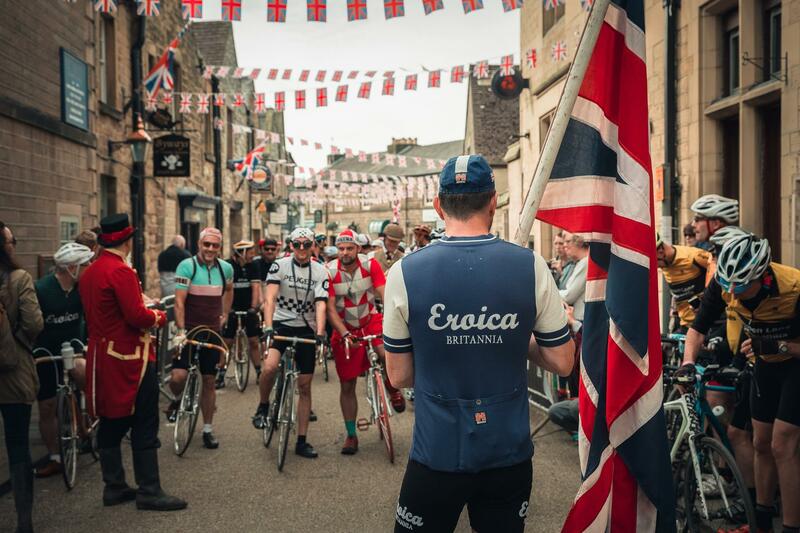 Eroica Britannia Returns Next Week! 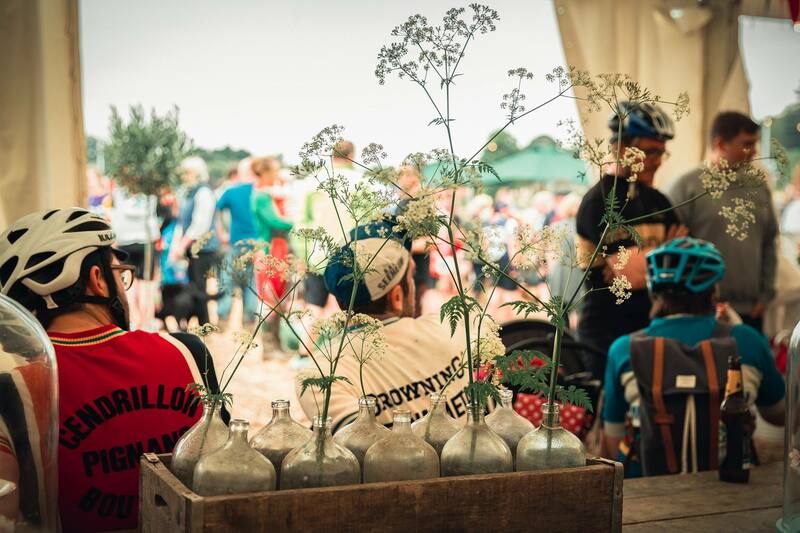 We're SO excited, Eroica Britannia returns next week for the most wonderful festival of the summer! 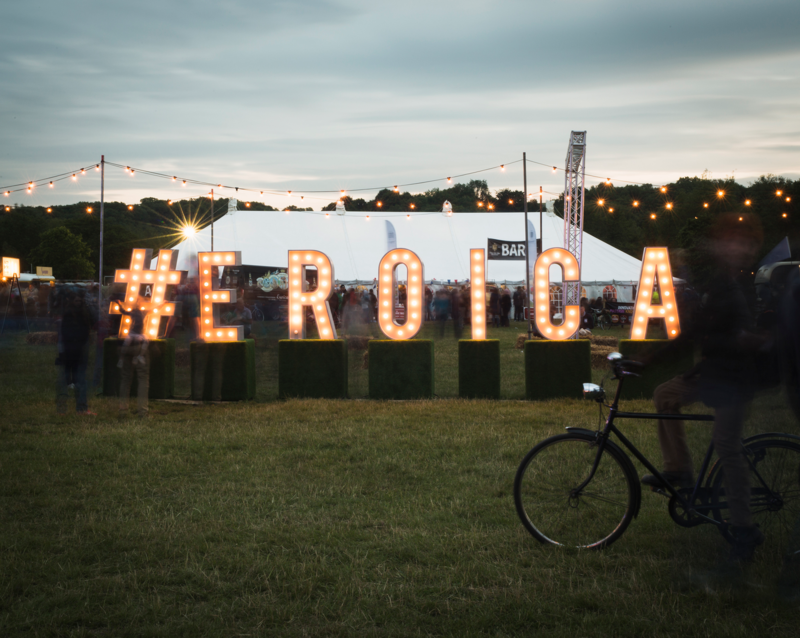 Eroica Britannia ticks all the boxes - family friendly, an incredible musical line up, amazing food, and a whooole lotta gin! Designed around Sunday's spectacular 'World's Most Handsome Bike Ride' - where intrepid cyclists from all over the globe roam 25, 55 or 100 miles through the glorious Peak District countryside on retro pre-1987 road bikes dressed in heritage threads, the festival, now in it's fourth year, has grown into a three day medley of fun and frolics in the fields! Food! Glorious Food! All the food. 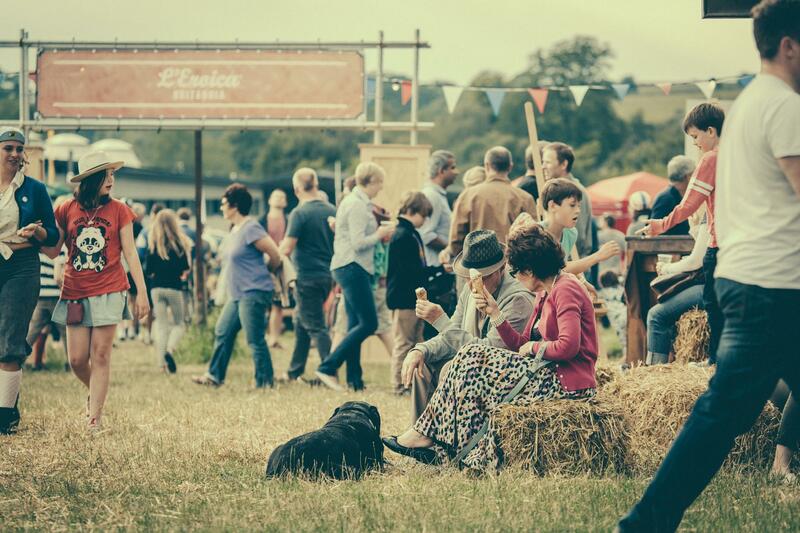 Eroica Britannia's expertly curated food festival Graze, is guaranteed to satisfy even the most fussy foodie. Everything is going to be absolutely deeeelicious, but we really can't wait to get our mitts on Muffin Man & Co (homemade buttermilk English muffins - with fillings made from scratch; take your pick from; pork belly, chilli jam, smoked salmon, scrambled duck eggs, roasted butternut squash, chorizo and more), Mai Taiko (Japanese Katsu burgers, Japanese Fried Chicken and gyoza - it's aaaall about those dumplings! ), Tikk's Thai Kitchen (Southern Thai street food - yummmm) and Harissa & Lemon (Moroccan street food - minced lamb and beef patties with fresh coriander, cumin, red onions and olive oil anyone?!) Who are we kidding? Really we want to eat everything. All of it. We're hungry already. The booze! So much booze. Take your pick from Bollinger Special Cuvée chilling at the Bollinger Bicycle in the Eroica Britannia HQ Garden, to the Britannia Arms Tavern - serving an array of your favourite tipples, celebrate World Cucumber Day with Hendrick's Gin (not that we particularly need an excuse to quaff their beautifully brewed botanical bevvies) and celebrate Eroica's Italian heritage with event sponsor Peroni Nastro Azzurro. Bring the noise! 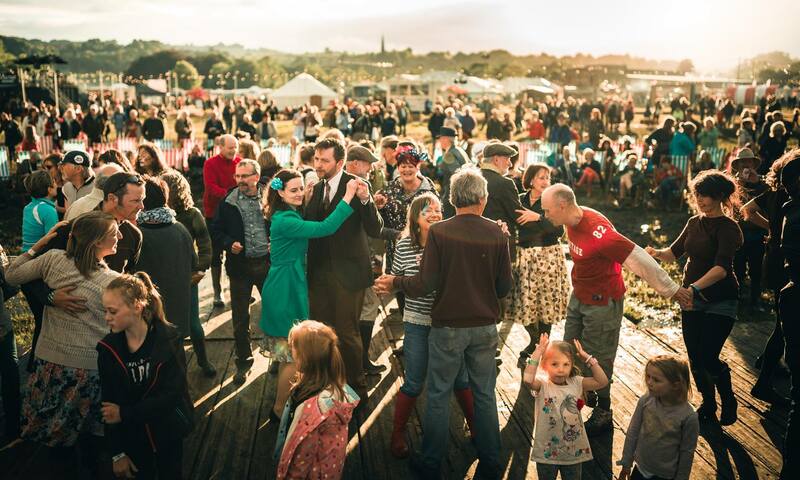 Eroica Britannia have announced their most fabulous line up to date, three days of music, topped of by headliners Norman Jay MBE and 80's heroes ABC - let's get those dancing shoes on! Don't forget the little ones... the perfect intro to festival fun for the kids. 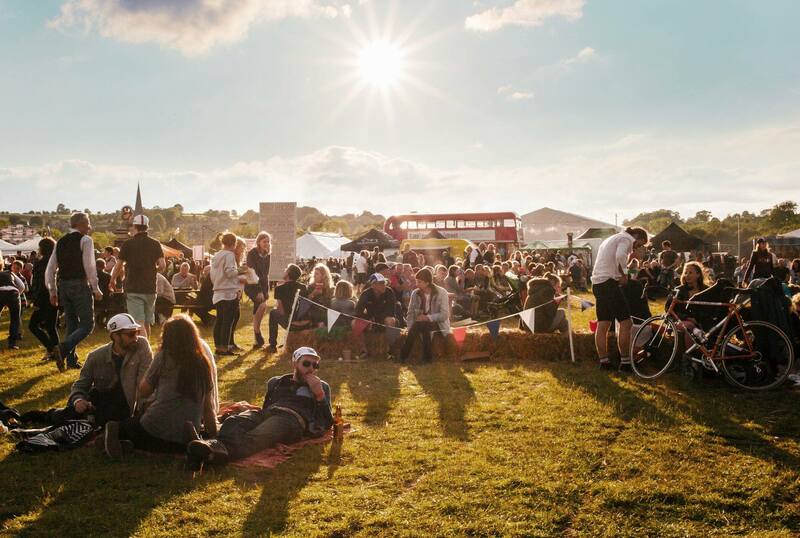 Think free-roaming old-school adventures; 'The Great British Beach', vintage funfair rides, campfire craft, face-painting, den building, SO much ice cream and stargazing. 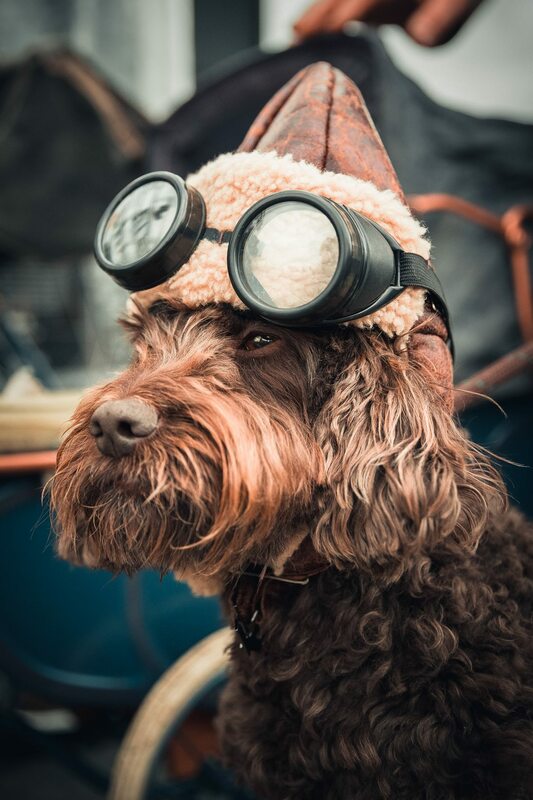 And as if all of that wasn't enough, you can take your pick from the Sundown Cinema - grab a deckchair and get snuggled up with a blanket, there's a flyover from a Lancaster Bomber on Sunday afternoon, amazing prizes for all of the Best In Show categories (best dressed family, best dog, best moustache, the list is endless! ), bike jumbles, some incredible shopping, all whilst immersed in the green and pleasant lands of the Peak District. We just can't wait, and we'd love for you to join us. If you're going to ride, you need to register and buy your tickets by Monday 12th June, and make sure you grab your best value 3-day Festival Tickets by Wednesday 14th June 2017 - TICKETS HERE.